ProScrub Economy Wet Dust Collector provides excellent air filtration efficiency through an advanced internal scrub process at an affordable price. Simple, powerful, and compact — these rugged machines will provide low-maintenance and dependable performance for years! 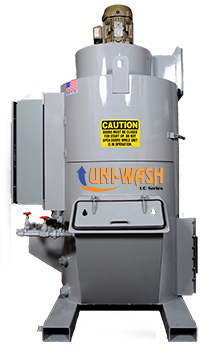 The ProScrub economy wet dust collector is modeled after the well-known Uni-Wash Wet Type Dust Collector product line. 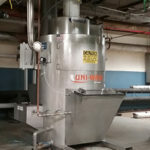 ProVent’s unique scrub design has been an industry standard for over 40 years and continues to lead the industry in Wet Type Dust Collection efficiency. Call us today to find out more about how a ProScrub economy wet dust collector can be used in your application. Flanged Inlet STD 7" Dia. STD 9" Dia. STD 10" Dia. STD 12" Dia. Ducted Systems < 4000 CFM can be raised on legs and drained from the bottom of the dust collector.